The World Bank may be dangling the prospect of affordable cell phones in Burma at the expense of freedom of expression and privacy rights. Foreign investment in Burma’s underdeveloped telecommunications sector is about to boom – as of this week, Qatar’s Ooredoo and Norway’s Telenor have received licenses to develop Burma’s networks. To support growing investment, the World Bank – which pledged $2 billion in development aid to Burma on January 26 – will approve a Telecom Sector Reform project on February 6. But the World Bank, perhaps eager to rapidly develop Burma’s telecom sector without vexing the Burmese government, is failing to support crucial privacy and data protection reforms. Burma’s telecom sector cannot easily sustain responsible investment. A repressive legal framework that allows for security, privacy, and human rights abuses governs the sector. These laws permit the government to engage in surveillance, censorship, cyber-attacks, collect and store user data, and disrupt communications. The passing of the 2013 Telecommunications Act did not weaken the government’s ability to wield these abusive powers. It is in this muddy legal context that the World Bank has chosen to invest. But the Bank’s Telecom Sector Reform project chooses to ignore the basic legal reforms, risk assessments, and safeguards that are imperative to an ethical telecom investment in Burma. The World Bank will purportedly help implement a “high-quality policy and regulatory environment.” Yet despite acknowledging that Burma has no explicit privacy, right to information, or cybercrime legislation, the Bank makes no mention of the privacy and security implications of telecom expansion. And the Bank’s partner – the long abusive Ministry of Communications and Information Technology– is the very same agency instrumental in Burma’s 2007 complete shut down of the internet during democratic uprisings. The World Bank has failed to consult with those whose rights are threatened by telecom expansion – the people of Burma. Recognizing that increased telecom capacity may enable privacy intrusions and stifle expression, 61 Burmese and ethnic civil society organizations wrote to the World Bank in January expressing extensive concerns, recommendations, and disappointment in the Bank’s failure to consult with civil society. Civil society urged the World Bank to press the Burmese government to develop laws and regulations that control how the state and service operators are able to collect, process, and share data in line with international human rights standards. Civil society organizations also expressed concerns regarding grievance mechanisms, public and private service operators, and land, labor, environmental rights. They stressed that user trust and privacy regulation are crucial components of the Bank’s objectives to support a liberalized telecom sector, increase connectivity in rural areas, and promote adoption of ICTs. People and businesses in Burma – still subject to many restrictions on basic freedoms – should be able to trust that their personal data will be safe and secure from state surveillance and collection. During the course of the telecom project, the World Bank will provide funding to help establish an eGovernment national portal that will allegedly support “accountability, transparency, and progress.” But without privacy regulations, people and businesses will not be able to safely use the national platform or share information online. World Bank goals to support “accountability, transparency, and progress” are meaningless without steps to establish user trust in Burma, a country where the government has squandered the public trust. The World Bank is not prioritizing public trust either. In mid-November 2013, the Bank attested that it had received “broad support” from civil society for the telecom project – before it had hosted a single civil society consultation. The project’s one consultation held on November 28 was scheduled mere days in advance and did not allow civil society participants enough time to review the lengthy project documents or translate them into ethnic languages. Civil society organizations reprimanded the Bank: it is unacceptable practice for the Bank to publish that its projects have received broad support from civil society without actually consulting with civil society. 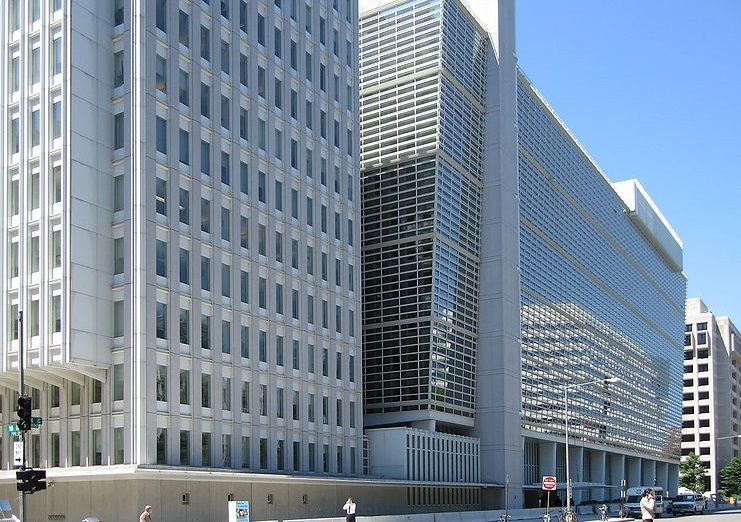 The World Bank should be the leader – not the resistance – in designing investments that reflect public priorities and uphold international human rights standards. Burma’s people welcome telecom development, but not at the cost of empowering the government to further violate basic rights. International investors, particularly the World Bank, have the responsibility to hold the Burmese government accountable to implementing essential legal reforms in order to pragmatically and ethically advance Burma’s goal to develop a world-class telecom sector.